Srinagar, Feb 10 : Curfew-like restrictions, imposed in the downtown and Shehar-e-Khas (SeK) in Srinagar on Saturday following separatist strike call on the sixth death anniversary of Parliament attack convict Afzal Guru, have been lifted. Guru was hanged and later buried in Delhi’s Tihar jail on February 9, 2013 for his role in Parliament attack in 2001. There is no restriction in any part of the city, police said on Sunday. 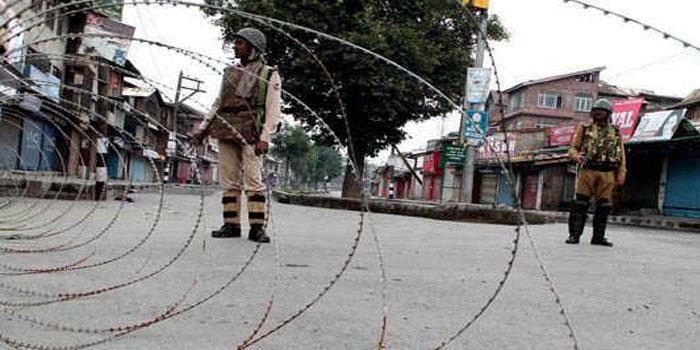 Restrictions under Section 144 CrPC were imposed in the areas falling under the jurisdiction of M R Gunj, Nowhatta, Rainawari, Safa Kadal and Khanyar in the downtown, Maisuma in the civil lines and Kralkhud since Saturday morning as a precautionary measure to prevent any law and order problem. All the roads leading to Gantaghar and historic Lal Chowk, the nerve centre of the summer capital, which were closed on Saturday with barbed wires, were reopened for traffic. All gates of historic Jamia Masjid -- stronghold of moderate Hurriyat Conference (HC) chairman Mirwaiz Moulvi Omar Farooq -- which were locked on Saturday, were also reopened. Security forces and state police personnel who were deployed in the Jamia market and nearby areas to prevent protests, have been withdrawn. All roadblocks, including barbed wire, have been lifted on main Nallahmar road, where traffic was plying normally and shops and business establishments are open. Similarly, life was normal after restrictions were lifted in other areas of the SeK and downtown.